I never met Peter J. Walker, but I met his son. He helped introduce me to the original Quad electrostatic loudspeakers which I eventually bought, but they were not the first Quad product that I purchased. I needed a new amp for my Magneplanar Tympani 1a’s. I was driving them with a Crown DC 300, but the Crown sounded dreadful on the Maggies. 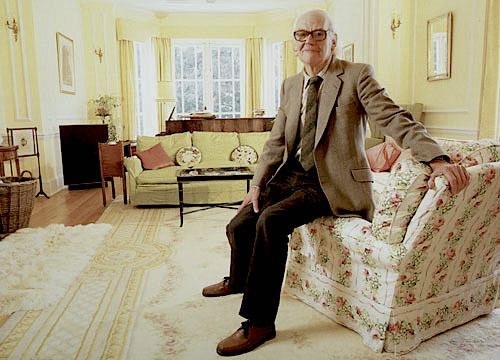 Was it the speakers, because the Crown was considered state of the art at the time. No, it was not the Maggies. When I switched in a pair of Quad 303 solid state power amps at the time the Maggies came alive. What I had discovered was the best sounding solid state amp on the market, which is still a keeper to this very day. Why? It sounded like tubes. The Maggies sounded best with tube amplifiers. 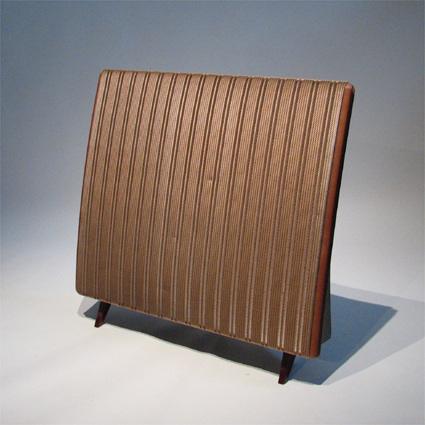 Audio Research distributed the Magneplanars at the time, and their tube amplifiers made the speakers sound great. Unfortunately, I could not afford the Audio Research amps. I had just busted my budget on the Maggies. Peter J. Walker came to the rescue. He produced a solid state power amplifier that was stable enough to drive his Qual ESL’s. 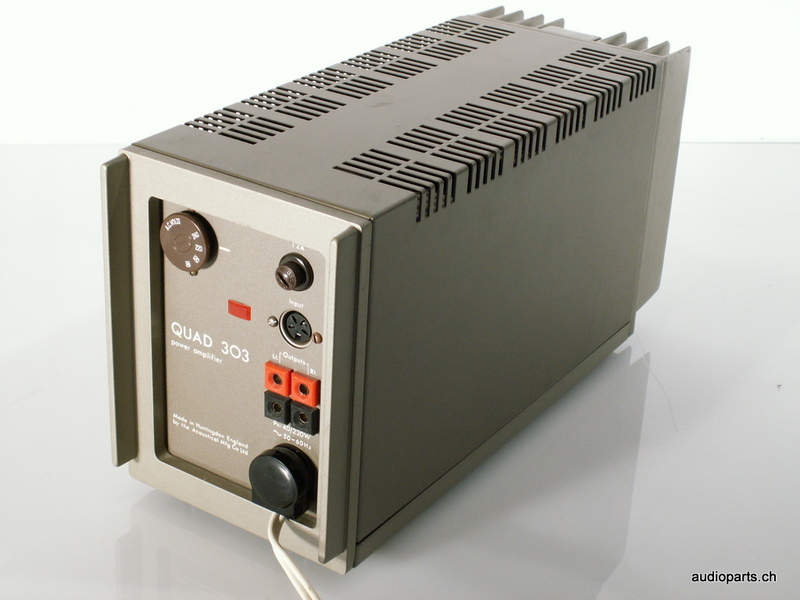 The QUAD 303 amp only produced 45 watts RMS, but they sounded more powerful than they had a right to sound. They measured well, but they sounded even better. In fact, no other solid state amp came close, except for the Marantz Model 15’s. The 303 were relatively inexpensive and they could drive my speakers in my modestly sized listening room. How did Peter do it? He was a genius. His circuitry was the key. It was simple, but it was sophisticated. This amplifier is a one of kind and still viable today. Pick up a reconditioned one today at a family reasonable price instead of paying a fortune for today’s outrageously priced amplifiers. You will only thank yourself. What else did Peter do? He made the full range electrostatic speaker viable. Well, the original Quad was not actually full range because it lacked bass, but it did not lack top end. In fact, its top end was gorgeous. It was difficult to drive, however, Quad tubed or solid state amps were the amps of choice. I did pair my Quads with a set Marantz Model 9 power amps which made them sound their best, but the Model 9’s produced too much output voltage for the Quads to handle safely. As lovely as the original Quad electrostatics were, they had little dynamic range. They were also very delicate. You did not want to play them all that loud. But, for me, they were almost the perfect Baroque music loudspeaker. Forget rock altogether. Fortunately, Peter went on to reinvent his speakers. He introduced a set of concentric rings, with electrical signals fed to the individual rings, successively delayed the farther each ring is from the center of the diaphragm. This would have the effect of making the speaker’s diaphragm behave as if there were a perfect point source behind it. Instead of the usual planar wavefront emerging from the flat film, there would be a time-coherent spherical wavefront. This was the genius of Peter J. Walker. He managed to make a large planar speaker sound like a small coherent monitor, while retaining the advantages of a large diaphragm speaker for coupling the sound into the room for a natural sense of ambiance. The latter, of course, requires careful placement to achieve the best effect. Today’s Quad’s still have the wonderfully low coloration and transparency of the originals, but have far greater dynamic range and bass output. Is it a rock speaker? No. 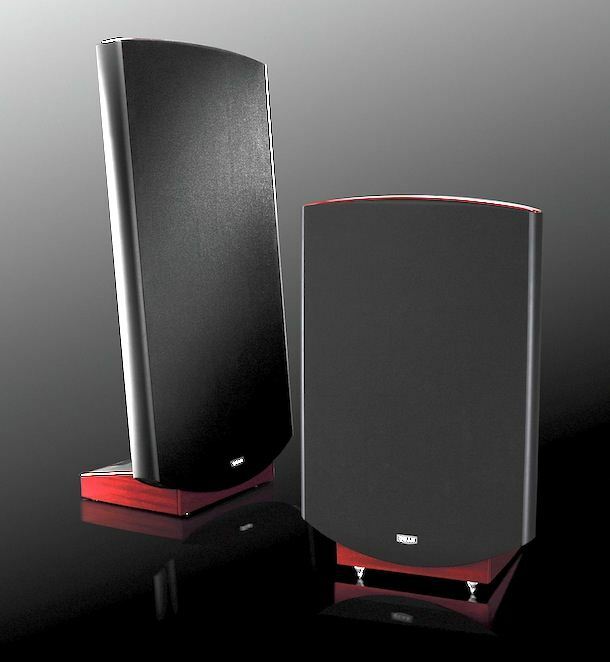 But few speakers can hold their own with the overall quality of their sound. Should you bay as used original Quad loudspeaker? Please, no. You will just be asking for troubler. I can tell you about the trouble, but I would rather talk about their remarkable sound. Buy a new pair if you have a truckload of money and a large size room. However, you still want to watch the volume control. For me, I would go with a Magnepan model. Nonetheless, Today’s Quads may still be the ultimate Baroque speaker. I love Baroque.